Strokes Gained is the new measuring stick comparing golf performances. Thus, here’s a cool article by TheFriedegg.com’s Joe Peta on who has the nine best All-Time Masters Strokes Gained from 1959 to 2018. 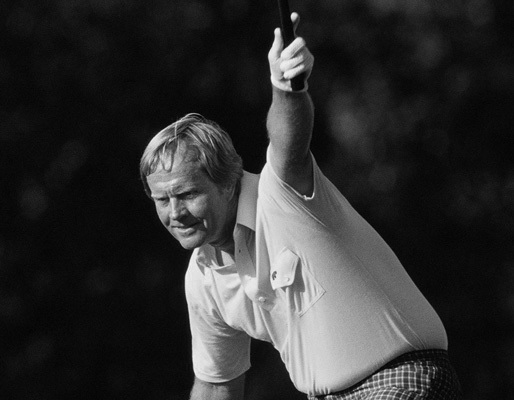 All nine are major winners, although ironically, only seven have won the Masters. Rank strokes gained. Try to guess the player next to each rank before peeking. I was surprised at two of them. 8. Greg Norman: I assume this is going to be the first name on the list that stumps a lot of people, as Norman is synonymous with failed efforts at Augusta. However, his lifetime record in the Masters is astoundingly good. Seven different times, the Shark finished the Masters with more than 12 strokes gained, a score that sometimes earns the green jacket. He accomplished this feat four times in a row from 1986 to 1989. Of course, he never won the event. 5. Tom Kite: This has to be the answer that ends everyone’s chances at a perfect bracket. Although I always think of Kite as being most notable at Augusta for finishing second to Tiger in 1997 and Jack in 1986, his consistent excellence at the Masters is undeniable. He missed only one cut in his first 19 appearances, and he had eight different instances of double-digit strokes gained. His 13.77 strokes gained in 1997 would have won a good number of other Masters, but he was a distant second to Woods that year. 4. Fred Couples: You knew his name was going to appear on this list, I knew his name was going to appear on this list, and yet, when you dig into his career at Augusta, it’s still shocking how wonderfully he plays this course. His record 23-for-23 cuts made to start his career at the Masters may have snapped in 2008, but from 2010 to 2018—all after he turned 50!—Couples is seven for eight in cuts made. At an age when the giants of Masters lore are usually making large withdrawals from their career strokes gained banks, Couples has actually deposited another 35 strokes since turning 50. And, the #1 ranked player has more Masters Strokes Gained than #4 Fred Couples and #9 Raymond Floyd combined.